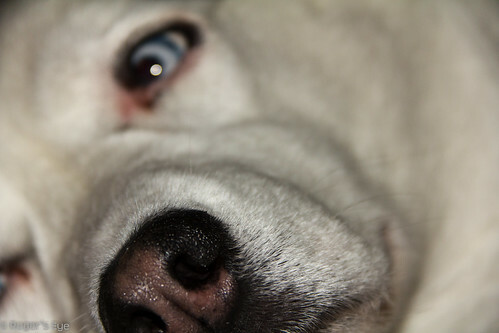 Niki’s Nose a photo by Roger’s Eye on Flickr. A nose is a nose is a nose…..well not really. She is my subject for many camera learning shoots. I learn a new section of the manual and try it out on her. She is pretty patient. and when her patience ends…..she just walks away. Dad, stop with the flashy thing OK? Well, tomorrow is another day…..